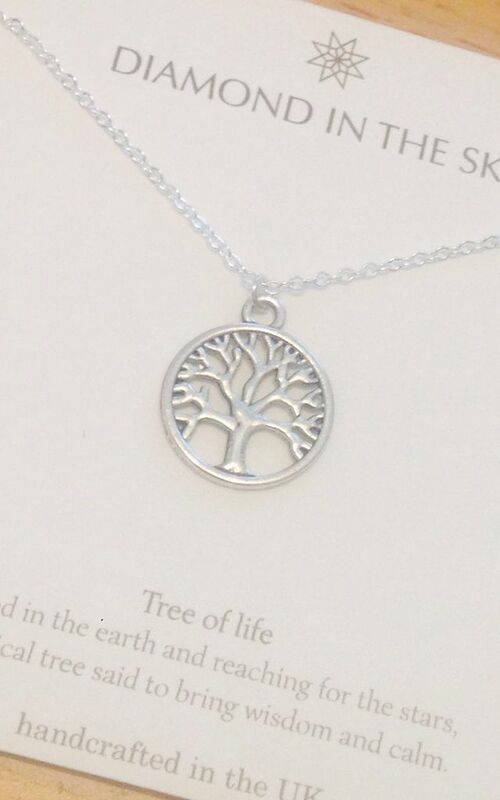 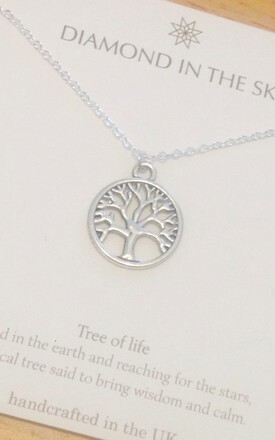 A Silver plated Necklace with a tree of life Charm comes on a gift card with the description of the Tree Of Life. 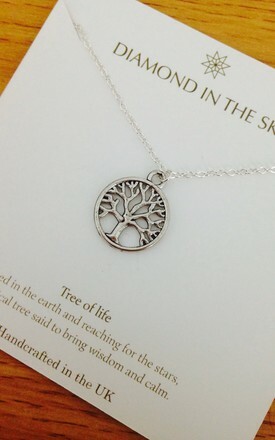 The charms sit upon an 16-18" chain. 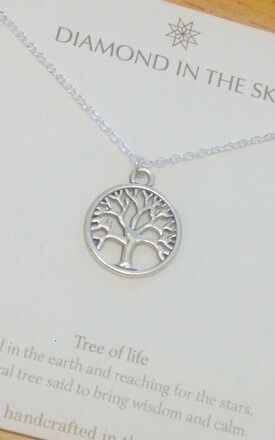 If you would like a different length just let us know.